In a large bowl, combine the first seven ingredients. In a small bowl, beat the brown sugar and egg yolk until fluffy; add the buttermilk, molasses and butter. Stir into dry ingredients just until combined. In another small bowl, beat the egg white and cream of tartar until stiff peaks form. Gently fold into batter. Quickly spoon onto a preheated waffle iron. Bake according to manufacturer's directions until golden brown. Sprinkle with confectioners' sugar if desired. Freeze option: Cool waffles on wire racks. Freeze between layers of waxed paper in a resealable plastic freezer bag. 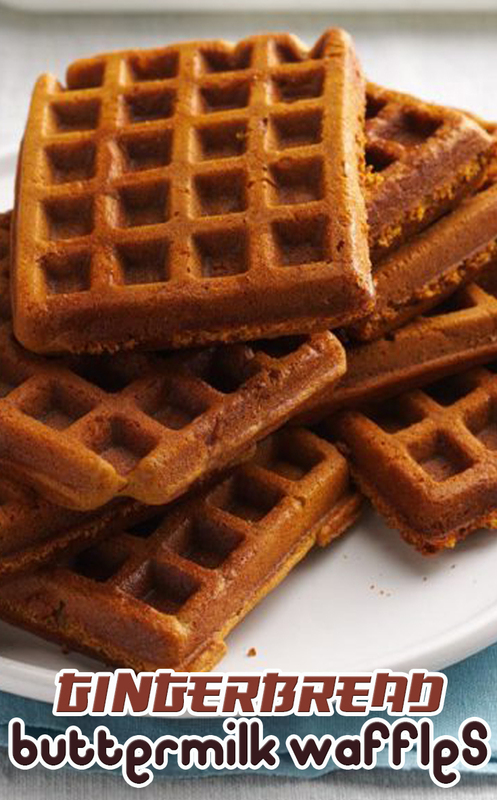 To use, reheat waffles in a toaster on medium setting. Or, microwave each waffle on high for 30-60 seconds or until heated through.